This is it – what you see is what you’ll find in the near future at a Porsche dealer lucky enough to get a hold of a 718 Cayman GT4. Spotted up close and personal during last-minute testing at the Nürburgring, the track-oriented coupe did not seem to have any sort of camouflage whatsoever. The lack of disguise is an obvious sign an official reveal is right around the corner, with a recent report stipulating we’ll see it in June at the Goodwood Festival of Speed. However, an online reveal could occur a few weeks sooner. Porsche has already introduced the 718 Cayman GT4 Clubsport race car, so we have a pretty good understanding of what to expect from its road-legal counterpart bound to sit on top of the Cayman range. It is believed the car will be initially sold exclusively with a six-speed manual gearbox, but an optional dual-clutch transmission is allegedly scheduled to arrive towards the end of 2020. The heart and soul of the track-friendly Cayman is expected to be a naturally aspirated flat-six 3.8-liter engine developing a meaty 420 horsepower. To make it go faster around the corners than a lesser version, Porsche will shave off as much 110 pounds (50 kilograms) to lower the car’s weight. This will be possible by installing thinner glass and removing some of the amenities available for the existing Cayman models, along with making other tweaks. 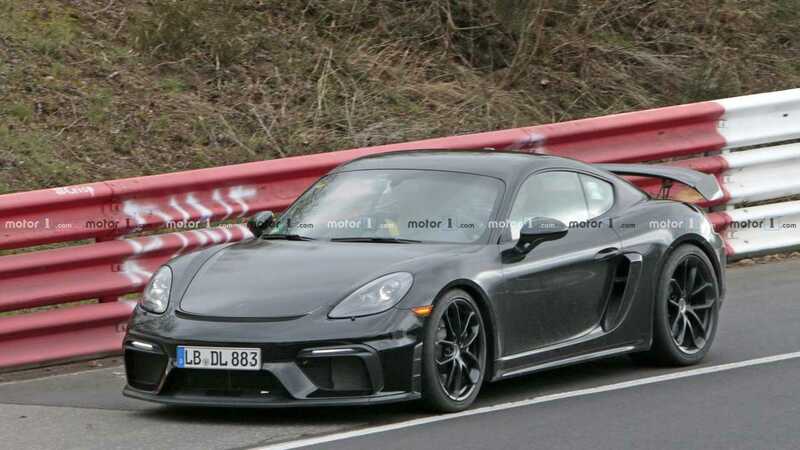 These adjacent spy shots from the Nürburgring show the GT4 version will take a step further in terms of the aggressive design over the GTS by adopting beefier air intakes up front and a chunky wing at the back. The prototype’s derrière also holds a newly designed sporty diffuser integrating the dual exhaust tips that no longer sit together in the center as they do on the GTS. 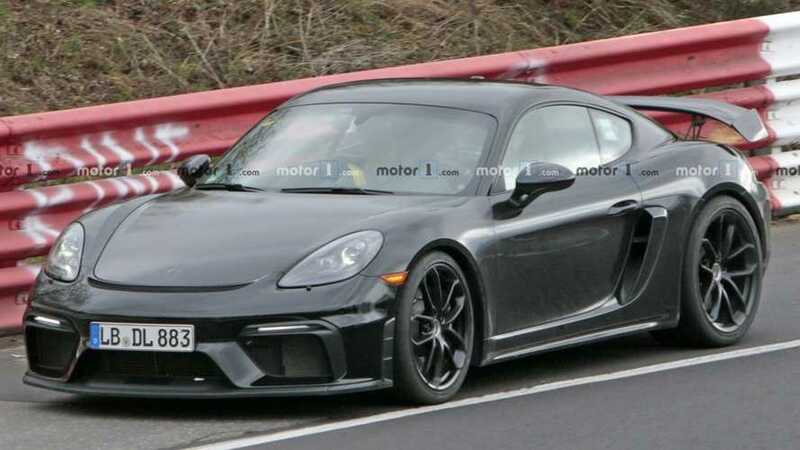 As a final note, it’s worth mentioning recent spy images have shown Porsche could also be preparing a Touring version of the GT4 without that big rear wing and in the same vein as the 911 GT3 Touring. In addition, a droptop version of the 718 Cayman GT4 is in the works as the Boxster Spyder.